Being sick for the past week with bronchitis has given me lots of time to nest on the couch. I've compiled a list of things that make staying in my couch-nest fun. 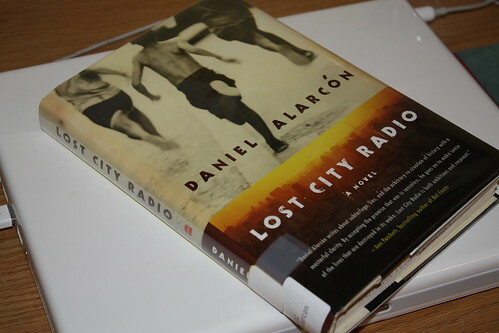 Daniel Alarcón's Lost City Radio is a captivating journey to a nameless country and delves into the lives of seemingly anonymous yet heartbreakingly real characters connected by the tragedy of civil war. Norma is the voice on the radio who people call hoping that their loved ones are listening, hoping they can find them. Norma is also seeking her husband, though he is a presumed dead terrorist and she cannot openly say his name on the radio, she hopes he is listening. When a boy from the jungle comes to her with a list of his village's lost, she sees the name she has been forbidden to say for almost 10 years. The story follows them as they move through the city, showing the different and senseless ways that war has touched all the people they encounter. The book plays out like a movie, shifting from the present into the past, and from a bleak city street into a magical South American jungle with the turn of a page making it impossible to put down. I found a tutorial on Howcast for how to make a crocheted headband with a bow. 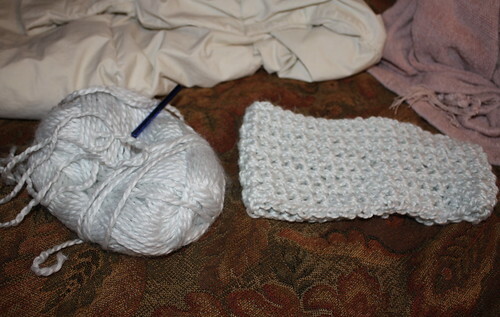 I haven't finished the bow yet, but I made my headband with some beautiful pale blue alpaca wool. lol @ that video, and I love your polyvore collage, those shoes and that nail polish color!! Sickness ! oh no ! I really need to check out that book. That dress is to die for! I love the neckline! I love pretend online shopping. I do it all the time when I'm sick. Great picks, I love all the white and cream. That sounds like such an interesting book! I"ll have to check that out next time I'm at the library. I hope you get better soon!!! am a get that book. And hope you get well soon. hope u feel better soon! :) love these picks! the star wars alpacas video was too cute! thx for sharing!